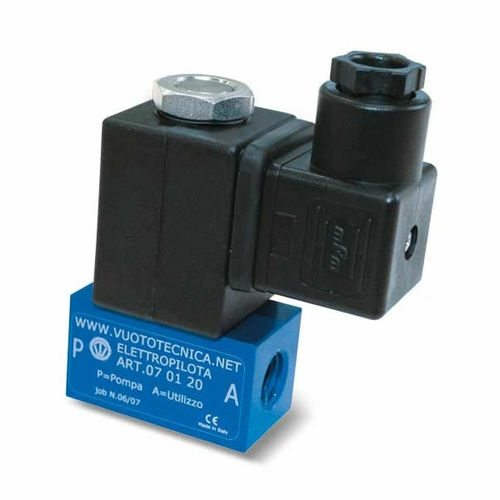 The 2- and 3-way vacuum solenoid pilot valves of the 070x20 series are normally closed and feature a body made out of anodized aluminum, with passage orifices and an electric coil activated actuator. The valve shutter is built into the actuator mobile core and is made out of NBR or Vulkollan®. The orifices of 2-way valves feature same outlet/inlet dimensions, while the 3-way models use a tube obtained 3mm outlet. The standard electric coil features full plastic coating (synthetic resin), tight execution, and uses class F insulation suitable for temperatures of up to 155 °C according to VDE standards, in addition to the 6.3 mm 3-terminal electrical connections according to EN 175301-803 (ex DIN 43650) standard. 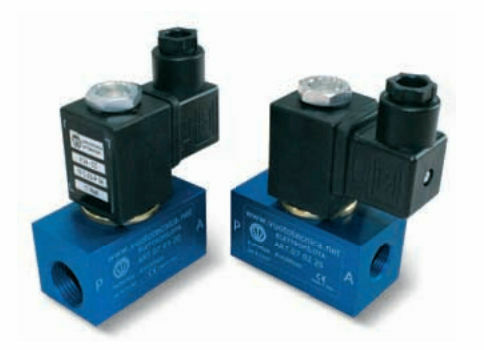 Additionally, these valves are equipped with IP54 or IP65 (for inserted connector) class protection.